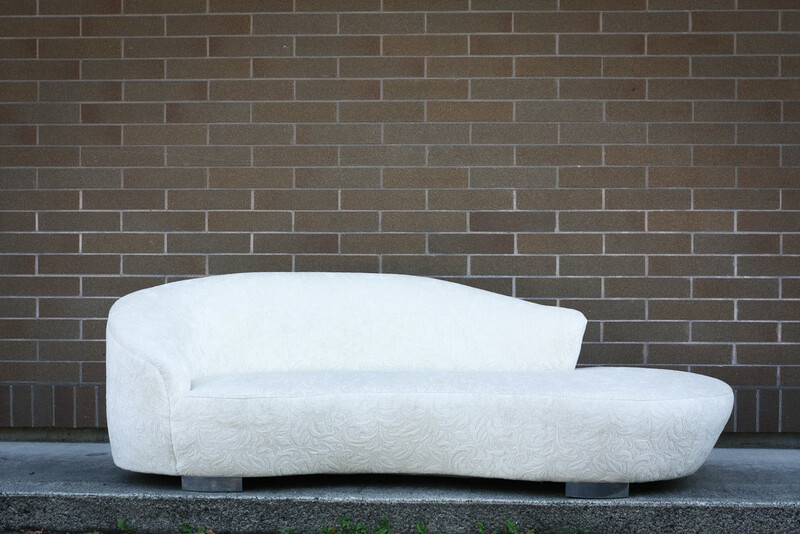 Beautiful Vladimir Kagan for Preview Serpentine sofa, commonly referred to as a "cloud" sofa due to it's unique, curvy shape. As you can see in the photos, the ivory fabric has a gorgeous texture and pattern. The foam is nice and solid. It's pretty rare to find a Kagan sofa that does not require immediate reupholstery. Obviously, if you have a specific fabric or color in mind, you could easily update this piece. Take note of the rounded back and the curved seat bottom. And extra large circular edge provides ample seating in a variety of directions. This sofa would look phenomenal in a modern or mid century home. The four, curved, chrome feet give the sofa a wonderful floating effect. As you may already know, Vladimir Kagan passed away this year, and his already highly desired pieces have only increased their value and rarity. 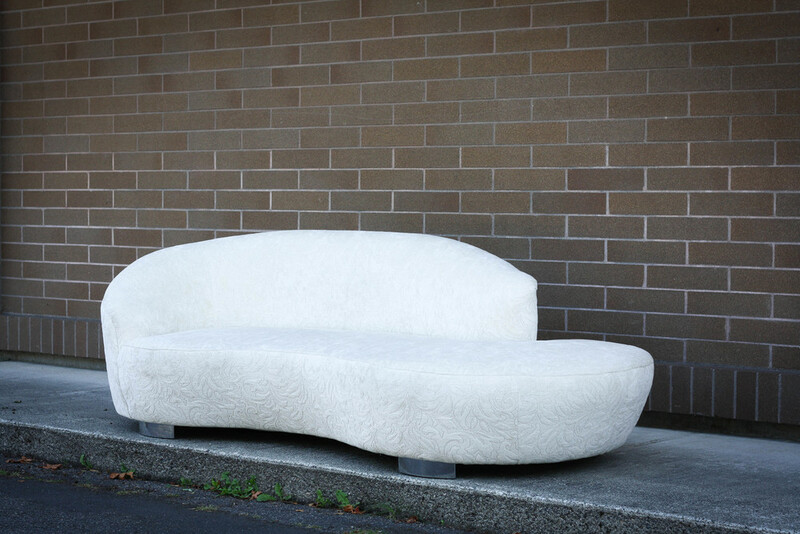 A quick Google search will turn up multiple instances of his cloud sofas (that often need immediate reupholstery) selling for $6,000 to $10,000.